GSM series medium expansion foam generators are used in the case of fire against Ordinary combus bles, Flammable and combus ble liquids. Medium expansion applica ons are the best solu on for three dimensional fire hazards, where the hazard is not surrounded by a roof but is contained with perimeter walls as a dyke. For adequate protec on, total flooding medium- expansion foam should be discharged at a rate sufficient to fill the area to an effec ve depth above the hazard before an unacceptable degree of damage occurs. Medium expansion foam generators offer expansion rates up to 1:60 (depending on foam concentrate used) and GSM models are available up to 1200 l/min @ 5 bar flow rates. 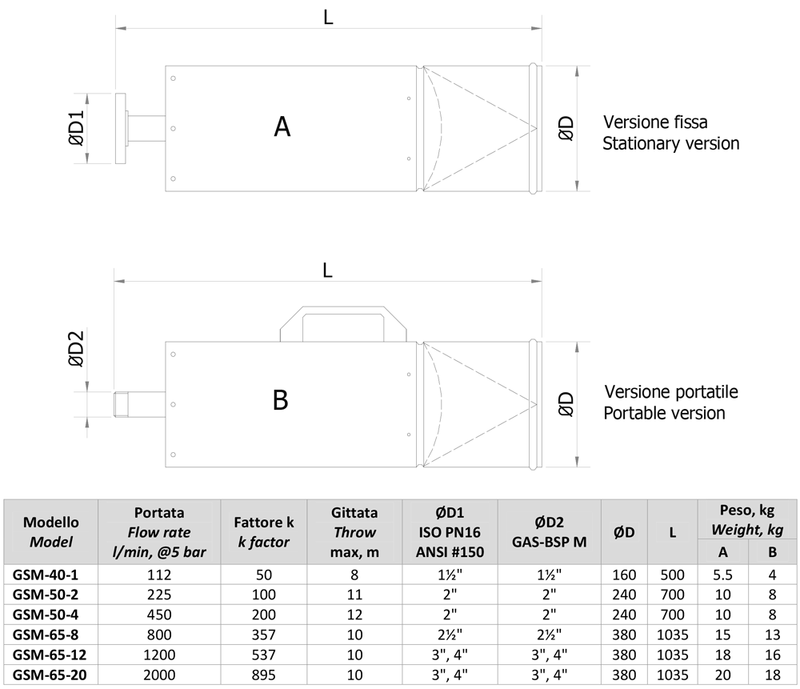 Different flow rates at different pressures are available on request. 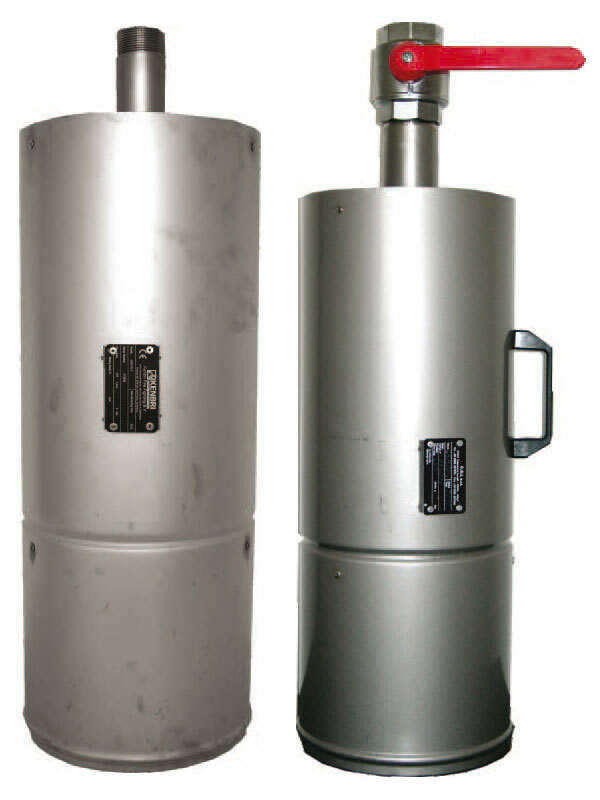 The equipment consists of a stainless steel body, internal expansion net and inlet connec on port with calibrated orifice. Having no moving parts and a fixed orifice makes the equipment reliable and maintenance free for long term usage. Medium expansion generators may be requested either threaded connec ons, flanged connec ons or instantaneous connec on means as required.